Singapore’s Wilmar International Ltd, the world’s largest palm oil processor, said its fourth-quarter net profit rose 70 percent, thanks to stronger results across its businesses, particularly its tropical oils and sugar segments. Wilmar, one of the biggest soybean buyers, reported a net profit of $560.8 million for the three months ended December, compared with a net profit of $330.2 million a year earlier. Fourth-quarter core net profit, which excludes non-operating items, rose 70 percent to $589.5 million. Revenue at Wilmar, which counts U.S. agricultural products trader Archer Daniels Midland Co among its shareholders, was up 26.7 percent. However, Wilmar’s 2016 annual net profit fell 5 percent to $972.2 million, its smallest in nine years, due to untimely purchases of soybeans which led to a loss in the second quarter. In the fourth quarter, pretax profit at the company’s tropical oils segment rose 94 percent to $184.3 million, led by its plantation business which benefited from higher crude palm oil prices. Its oilseeds and grains segment recorded a profit before tax of $177.9 million, an 8 percent increase. 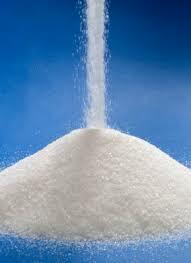 Pretax profit at the sugar business rose 68 percent to $135.9 million. “Barring unforeseen circumstances, performance in 2017 is expected to be satisfactory,” Chairman and CEO Kuok Khoon Hong said in a statement.